188 Byzantine shines in rich burgandies and hints of plums. 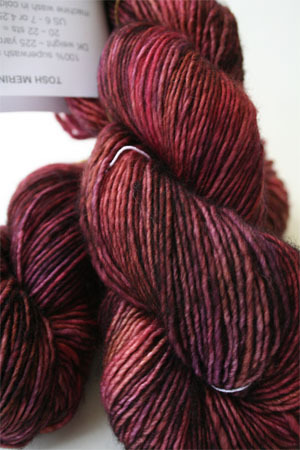 A rich, elegant color in this tosh superwash merino wool that's perfect for shawls, sweaters and more. Lovely.